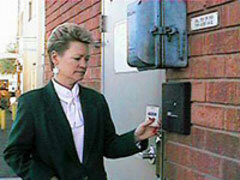 Electronic Card Access Control Systems | Calgary Alarm Inc.
We have several types of Access Control. The most popular system uses electronic cards as “Key Cards” to your facility or highly sensitive areas within your facility (such as inventory and sensitive equipment). This replaces the old fashion key, therefore if an employee terminates there is no need to change locks, just eliminate the employee’s “electronic key” from gaining access. This system can be designed to work in conjunction with an Calgary Alarm. burglar and/or fire alarm system. If a burglar breaches an access controlled door, a signal will be sent to the burglar alarm control panel to sound an alarm. If a fire should occur in your building the unlocking of all doors is automatic. This allows the building occupants to escape to safety. 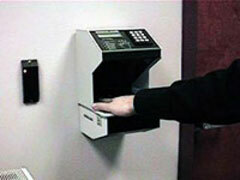 The system can also provide employee tracking in and out of the building and sensitive areas. The reports give a detail of who entered and left and the time they entered or left certain areas. There is unlimited opportunities for any business for using Access Control. Access control that has everything you need to minimize risk. 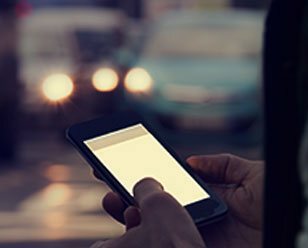 Small and medium-sized organizations can benefit from access control just as much as large enterprises. 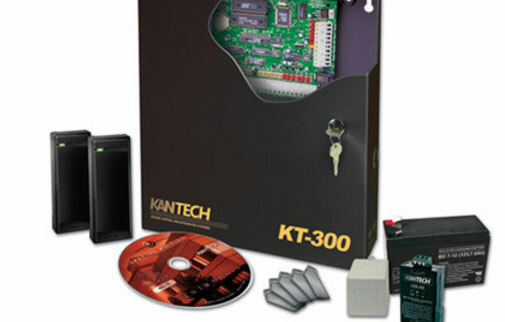 Our Access Control Kits enable your access control system to grow as you do.